Troops of Operation DELTA SAFE in line with its mandate to rid Niger Delta of all criminal acts of militancy and kidnappings in a special operation repelled an attack on troops location around Ajakpa community in the creeks of Southern Ondo State last night. The attack was led by one notorious gang leader, Ossy Ibori with a hideout at Ajakpa, Ese-Odo Local Government Area of Ondo State. The leader was gunned down during the gun duel, along with some of his his gang members. His body was identified by some of the locals in the area. While search for other criminals who jumped into the water with gunshot wounds is ongoing, troops had recovered one AK-47 Rifle and 4 Magazines. It could be recalled that, criminal gangs led by late Ossy Ibori have been terrorising parts of Lagos,Ogun and Ondo states prior to this operation. They committed many atrocities threatening the peace and security of the general areas. 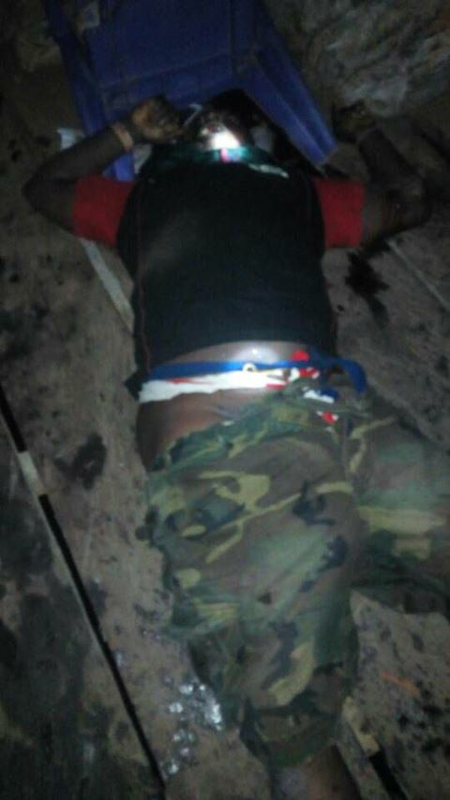 Last month, the gang kill an army captain and 2 Policemen at Ikorodu. Also late last year, abducted students and staff of a secondary school. The criminals in addition, carried out several attacks at Ese-Odo community around Ajakpa,Safarogbo and Balowo areas. The need to flush them out from their hudeout became necessary to ensure peace and sexurity in Ondo state. Sadly in the process, one gallant soldier paid the supreme price while 3 others sustained gun shot wounds. They have since been moved to military hospital for proper medical attention. While the operation is ongoing, let me appeal to law abiding residents of the affected communities to remain calm, vigilant and support our troops with valuable information on whereabouts of other criminals. Cordinator, Joint Media Campaign Center.